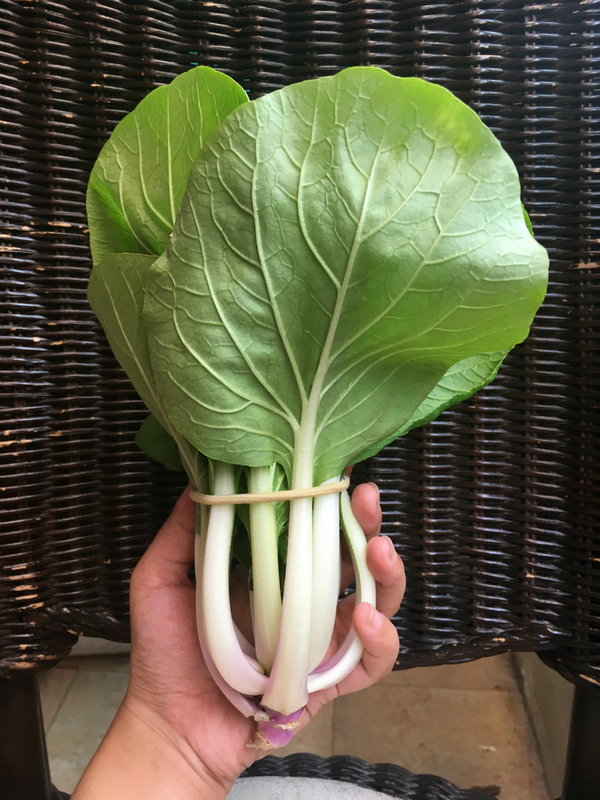 This morning, I harvested my second batch of pechay leaves, which are also known as Bok choy or Chinese cabbage in other countries. The leaves I got from this batch were much bigger than the first ones I had last August. The ironic thing about it? I didn’t even know that I had one pechay seed growing in the pot until I saw a seedling in it three months ago. Today, by God’s grace, I snipped off a lovely bundle of big pechay leaves here at home. 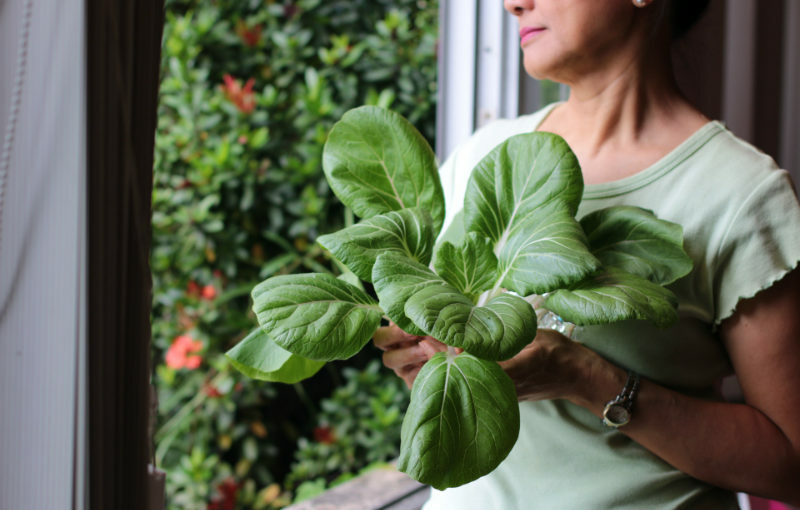 I happily showed my family members the stalks of pechay in my hand while they were having brunch earlier today. I then shared the background of the story and emphasized how interesting the experience was. 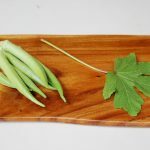 Even though I exerted so much effort in the first batch by regularly watering, adding organic fertilizer, and taking care of the plants, they weren’t able to reach their maximum size. Why? Because there wasn’t any room for growth. 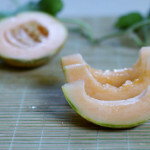 One major mistake that I made while I was growing the first batch was planting too many seeds in a small area. Because the seedlings were overcrowded, their roots could not expand and fully develop under the soil. This resulted to smaller leaves and thinner stalks. 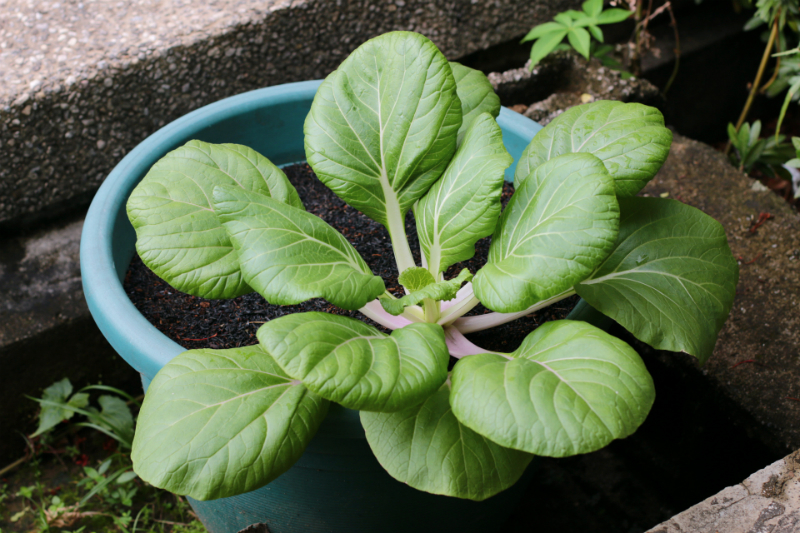 For the second batch of pechay leaves, however, since it was only one seedling growing in the pot, it had adequate space for its roots to expand. Even though I wasn’t able to add fertilizer to it as often as I did to the first batch, it still grew and reached its maximum potential. 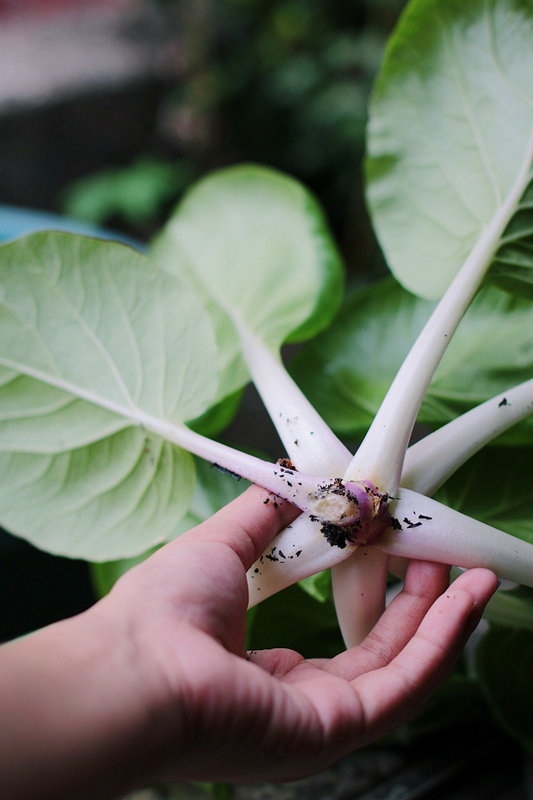 There weren’t other pechay plants absorbing the nutrients in the soil. 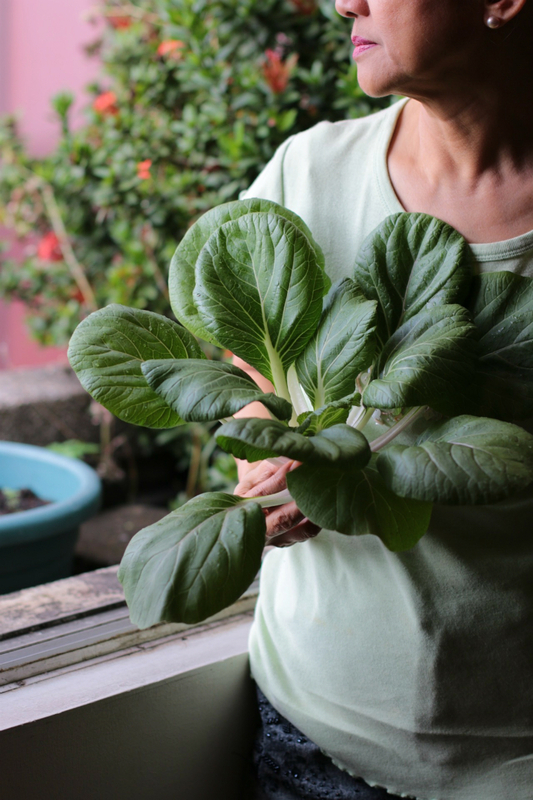 I learned two things today as I took photos of the larger pechay leaves at home. FIRST: Hindrances to growth may also be the good things in life. It is very easy to put the blame on the weeds and difficult moments in life whenever we experience delays in our growth. However, I am learning that even the good and seemingly harmless things may also hinder us from experiencing the best and becoming the best version that we can be. Of course, this still depends on how we respond. 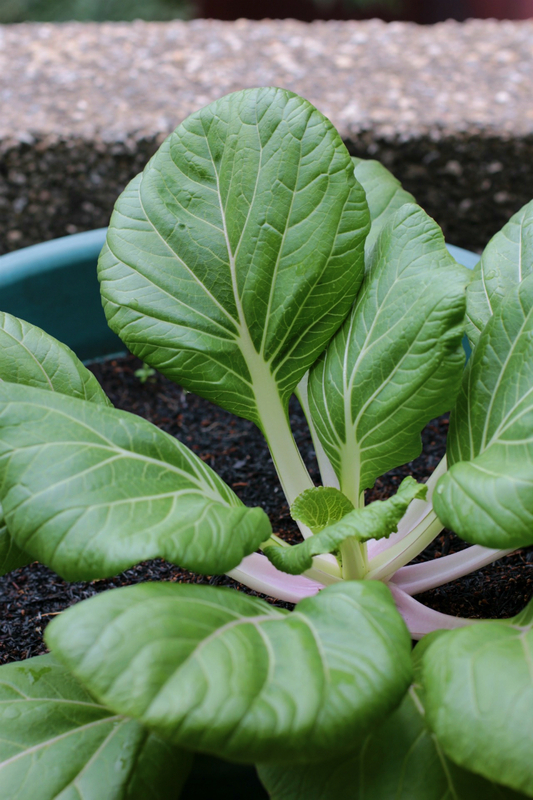 In gardening, I realized that fruit-bearing or leafy greens shouldn’t be overcrowded in a pot if we want them to grow and reach their full potential. In the same way, personally, I am reminded to be more wise and intentional in the way I manage my time, resources, and activities. For example, I’ve noticed how casually surfing the internet or social media applications take up a lot of hours in a day. Even though these aren’t bad tools, if I am not careful with how I use them, I may end up “overcrowding my soil” and not leaving enough space for more important things that can help me grow. 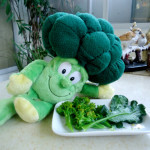 Another example is being idle or enjoying too much rest or sleep. Yes, I do believe that rest is important. But, I also know that if I just sleep all day and not plan ahead on the activities that I can productively do in a day, then it would be a waste of time and resources. SECOND: God makes things grow. This is my favorite part in this blog entry – the part where we talk about God’s grace. There’s something about the grace of God that strikes our hearts, humbles us, and inspires us to press on. 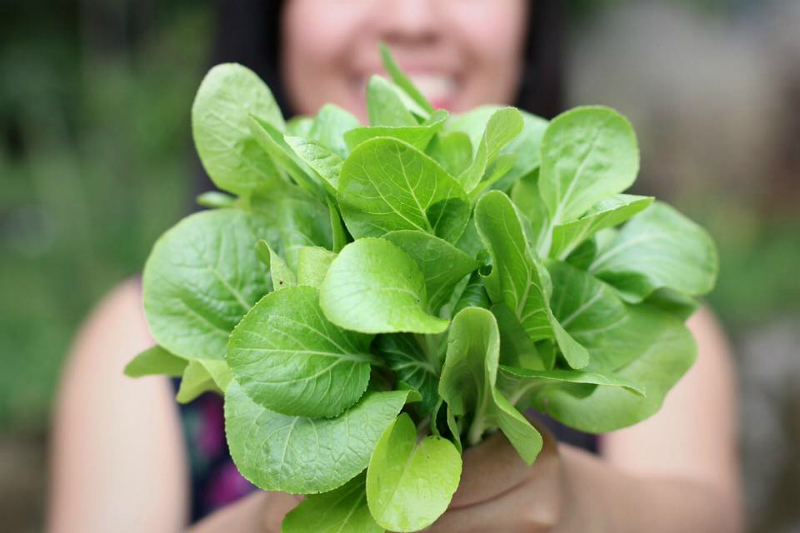 In my case of growing pechay leaves, clearly, it was God who caused the growth of the second batch. 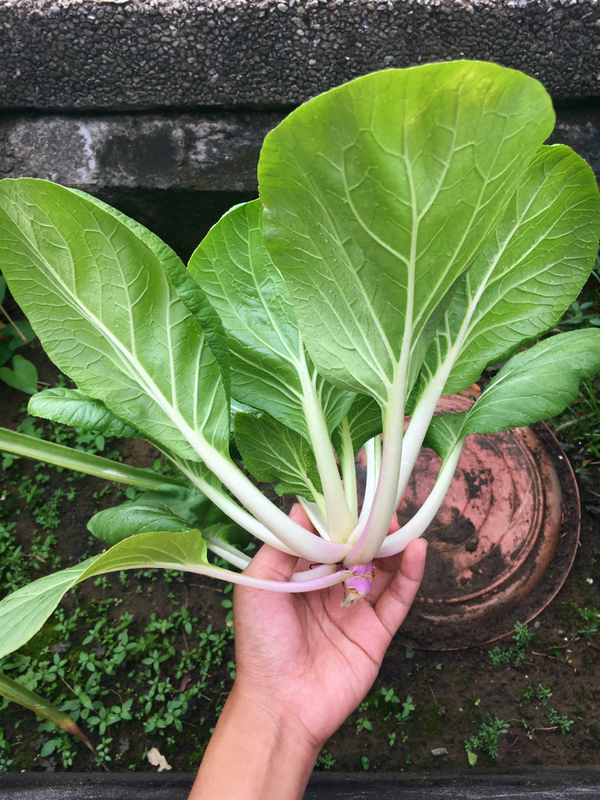 Originally, I did not want to grow pechay during the months of September to December because I knew that we would be having rainy days in this tropical country. But, God allowed one pechay seed to be left behind and He helped it grow even without me attending to it daily. AMAZING. This experience encouraged me to depend on the Lord and not on my own strength and wisdom. He makes things grow. He can allow us to experience growth and reach our full potential in the different areas of our lives. We just have to trust in Him, do our part, and see Him work wonders in and through us. 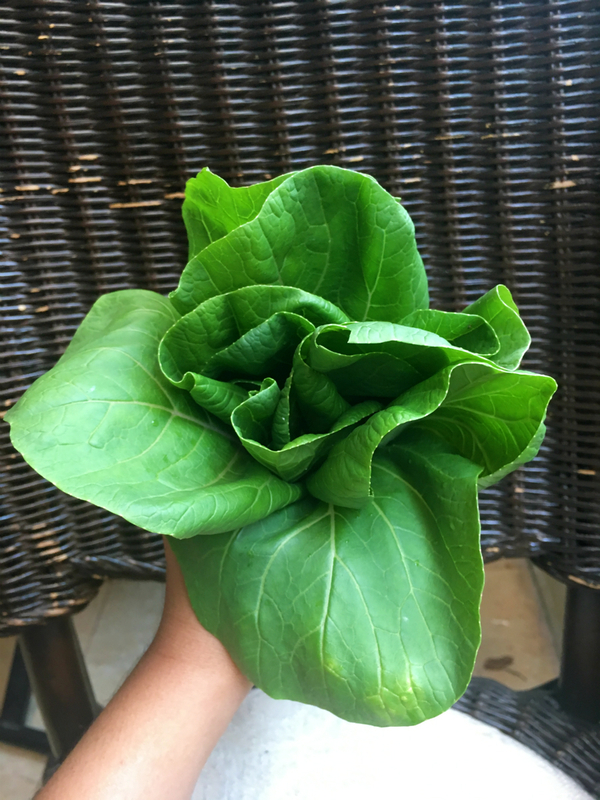 When I saw the lone pechay sprout in the pot, I had the choice to pluck it out. But somehow, even if it was just one seedling growing in the pot, I saw its potential and started to take care of it. I didn’t know that after three months, it would become a beautiful harvest, by God’s grace. Maybe there are areas in our lives right now that seem hopeless or seem to have no progress at all, just like the lone seedling in the pot. Maybe it’s a financial struggle or a heartbreak that we can’t seem to let go. Maybe it’s seeing little development from all of the hard work we’ve been doing or a blurry vision of our dreams and goals in life. Whatever it is, I hope that you will also be encouraged to surrender it to God, do your part, and trust that in His perfect timing, He will allow it and you to improve and grow. Sa wakas, new entry! I enjoy reading your posts, Nic! Hi Chulalongkorn! Thank yooou! :) But, wait. Who are you? Hahaha.